From the beginning of civilization, humans have devised ways to ensure that water is available when and where it is needed, as well as ways of addressing wastewater and of dealing with storms and flooding. Presents best practices, case studies, and practical information that planners can apply and integrate into their work. Seven chapters cover current thinking about water cycles and systems, beginning with a primer on the basics. A deeper dive reveals the ripple effects of local needs and global trends, and a section on financing suggests ways to prime the pump for capital projects and innovative systems. The five strategic points of intervention are addressed from the perspective of water resource planning and management, showing the best places for planners to jump in and make an impact. Case studies and examples from communities across the United States map out some of the tactics planners are using today, while a sampling of best practices adds to the pool of solutions. In 2017, the American Society of Civil Engineers (ASCE) Infrastructure Report Card gave the nation’s drinking water infrastructure a D grade, while wastewater and wet weather infrastructure earned a D+. The U.S. needs to invest $150 billion in its water and wastewater infrastructure systems but has provided only $45 billion, leaving a funding gap of $105 billion (ASCE 2017). Planners and water professionals are collaborating to develop a postindustrial paradigm to replace the top-down, highly engineered, isolated water service systems of the industrial past and our legacy infrastructure. The One Water approach is constructed on the idea that all water within a watershed is hydrologically interconnected, and is most effectively and sustainably managed using an integrated approach. One Water is the structural basis of water sustainability and strives to advance the rationale for managing water supply, wastewater, and stormwater as one resource — because that is how it exists in nature. The advantages of One Water include improved resource sustainability (greater reliability, security, and resilience), conservation of natural waters and related ecosystems, and flood avoidance. One Water management is a foundational element of APA’s Policy Guide on Water. By virtue of their skills in fostering collaboration and community engagement, and through their understanding of regulatory tools available to manage land use, planners have important roles to play in coordinating with the various actors involved in water resource management and water services. 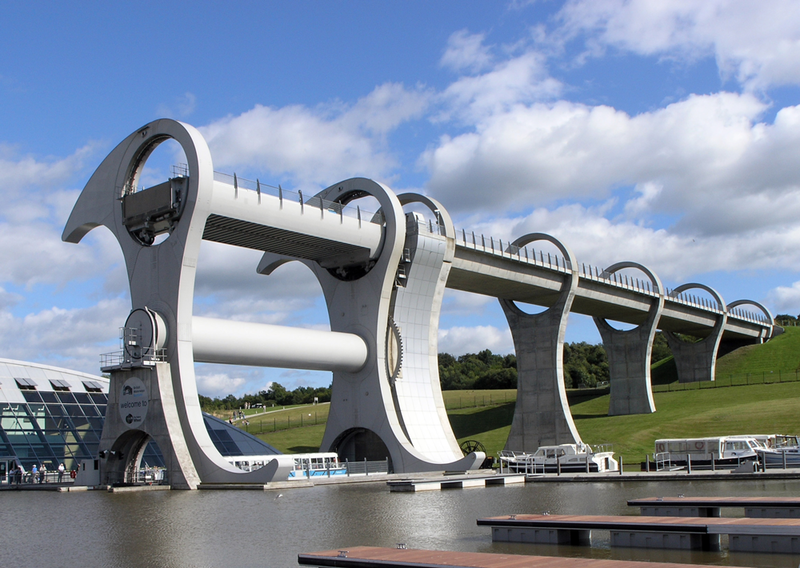 The Falkirk Wheel is a rotating boat lift in Scotland. Wikimedia Commons image (CC BY 2.5). 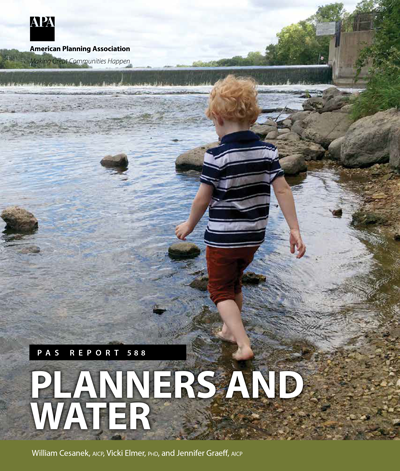 This PAS report introduces a complex subject — water — with rapidly evolving planning practices as planners seek to implement more integrated water systems. It recommends future endeavors to be undertaken by the planning professionals, water professionals, and the engineering and architectural community to address water resource management challenges, to protect our cities from climate change impacts, and enable a smooth transition to the next generation of One Water infrastructure. The challenge of breaking down silos and engaging across planning disciplines is continuous and permanent. Given the interdisciplinary nature, range, and complexity of the subject of water management, it is difficult for any single profession to identify all the system interactions and solutions. Planners should embrace this challenge and forge new connections with their counterparts at water-focused agencies, organizations, and departments. Interdisciplinary efforts and inclusive engagement strategies have proven to be transformative by synthesizing the knowledge of different disciplines to guide decisions towards cultivated outcomes and more sustainable water management solutions. 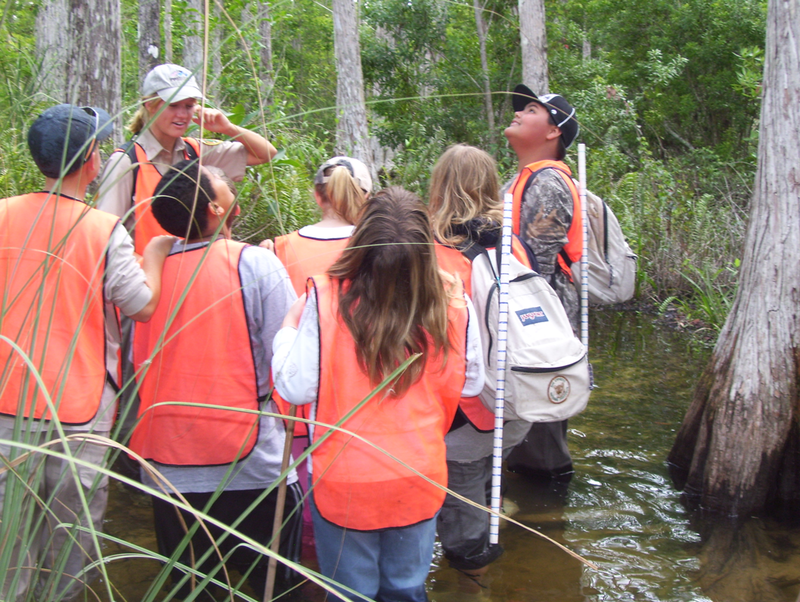 Students exploring a cypress strand in Big Cypress National Preserve. Photo courtesy National Park Service. It is important to arm planners, both in the classroom and in continuing education, with more technical skills to address water issues so they have the confidence to not only facilitate the water management dialogue but also drive it. APA offers guidance, support, and most importantly, educational opportunities to prepare planners and decision makers to lead and respond effectively to emerging water challenges. To integrate water management into traditional planning practice it is essential to broaden the general public's understanding of water-related principles, issues, and opportunities, as well as provide extensive job training in this emerging sector. APA is dedicated to adding value to the growing network of water disciplines and its members. It ensures that the members receive the guidance, support, and access to practical and educational opportunities. In May 2017, APA launched the Water and Planning Network (WPN) to provide a professional forum for the interdisciplinary exchange of ideas and planning methods focused on water. This network operates as communications and information sharing network to connect members to the best planning practices that reflect current research, science, policy, and technology regarding the protection, management, and use of water resources and utilities. Top image: Sand Harbor, Lake Tahoe, Nevada. Photo by Flickr user Don Graham (CC BY-SA 2.0).